I hope that you are all fit and well - it's been a very grey day here no sunshine whatsoever, but my husband and son have managed to move my 2 greenhouses for me to better positions in the garden - so all the hard work starts next weekend. I'm hoping that I will be able to get the propergators out and into the conservatory ready for the seeds to start going in (I went and fetched the last of the seeds yesterday from Wilkinsons so all ready to go now). I need to get the garlic into pots - I know I'm a little late with starting it but hopefully it will catch up and then I need to generally start going through all the pots in the garden - getting rid of the ones that I no longer want to keep and placing the ones that are left into the right positions. My soil here isn't that good and I do tend to grow a lot in pots. Now that the glass greenhouse has been moved, we have a really large deck space in front of the summer house, so will be able to set the table and chairs out nicely for the summer months. 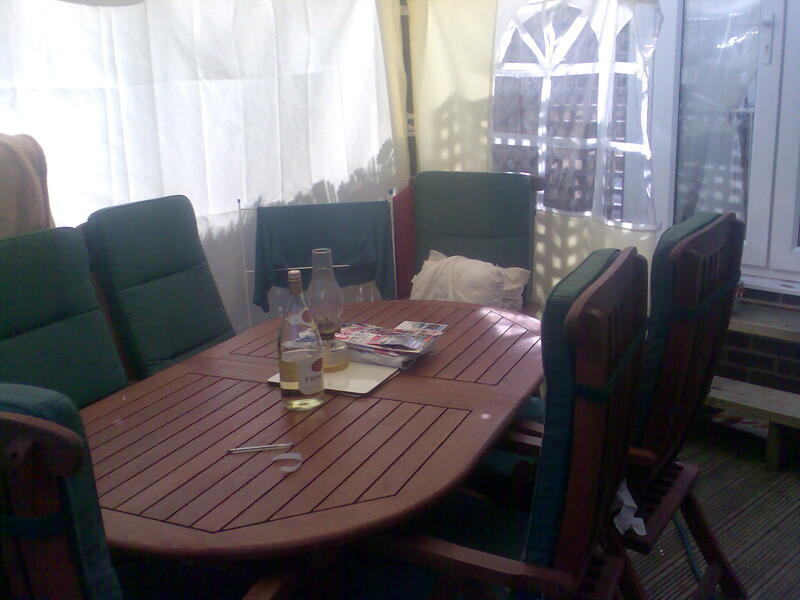 I just want to try and find a reasonably priced pop up gazebo to go over the wooden table and 6 chairs. 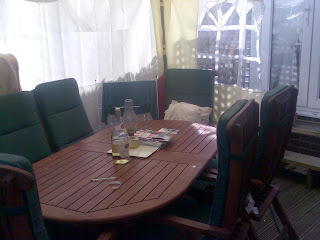 But last year we moved the set down in front of the summer house where it sat o.k. but we could have done with more room around it - plus as our last gazebo had come to the end of it's working life, we left the table and chairs out in the open and just used a large garden umberella whenever we got chance to sit out, but the hot sun and rain really took it's toll on the wooden furniture and as this set has got to last us - I really do want to put another gazebo over it this summer. We've decided that we're not having a holiday this year - we just can't afford one and we only really sat out in our garden a few times last year - we worked out in the garden but only sat out a few times and I only used the summer house once! So it seems daft paying to go away when we don't already have the money and it would mean scrimping to save the money for a holiday, when we have somewhere nice to sit out and rest and relax. So that's our plan for this year. Went to Aldi again for our shopping and still have only found one thing that we weren't certain on and that was some black pudding - it tasted O.K. but not quite like black pudding should taste like but I'm still very pleased with the prices. I was off work from Monday to Thursday - I suffer from arthritis and it was really painful last week but whilst I was away it certainly was a case of 'while the cats away the mice will play' I think (know) that certain individuals at work didn't get much done at all whilst I wasn't there!!! Must change that this week!! 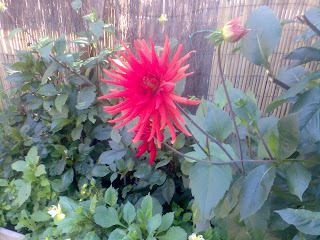 Did you like the first picture of the Dahlia? 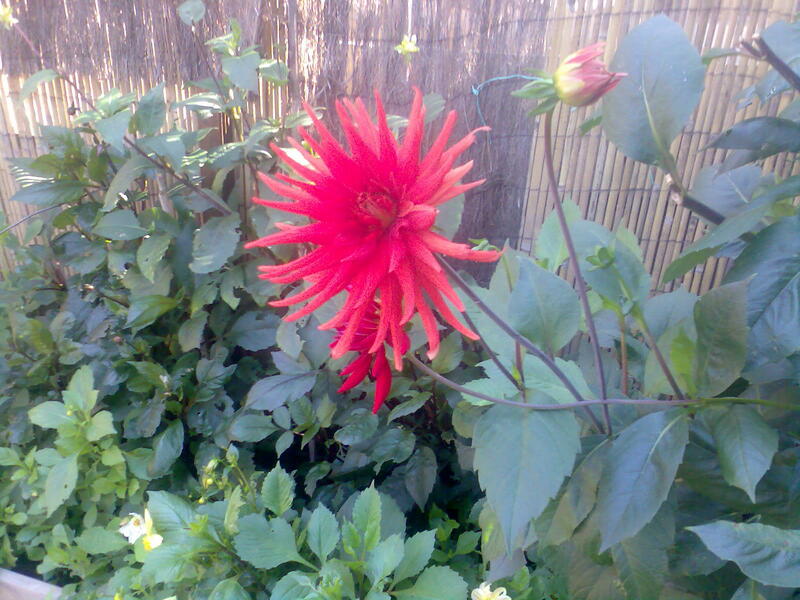 - I love Dahlias, Begonias and Pelagoniums - all bright and breezy and making a splash of colour. I'm getting really jealous hearing about people in the UK starting off their gardens already!We still have a long way to go yet!